"The Zambian economy continues to perform strongly despite several adverse shocks. Growth may slow somewhat this year due to the relatively poor harvest and extensive load shedding while inflation has accelerated on account of increases in world fuel and food prices. Beyond 2008, prospects for strong growth and declining inflation remain broadly favorable. The main risks to the outlook stem from a significantly slower rate of global growth and a sharper decline in copper prices than currently anticipated. "Implementation of fiscal policy has been weaker than planned. Large amounts of supplementary expenditures have been undertaken and the lowering of fuel taxes will result in sizable revenue losses. The persistent difficulties with implementing capital projects highlight the urgent need to strengthen budget execution, including cash management through the establishment of a Treasury Single Account and Treasury Department at the Ministry of Finance and National Planning. Fiscal discipline in the period ahead requires that decisions that would further undermine the attainment of the 2008 fiscal targets be avoided. "Zambia's economic resurgence in recent years owes much to improved economic management. Continued adherence to prudent macroeconomic policies is essential for sustaining this achievement. For 2009, the use of revenue flows from the new fiscal regime for mining should take into account constraints in the absorptive capacity and uncertainty about the implementation of the new regime needs to be resolved. Monetary policy needs to ensure that only the immediate impact of the surge in food and fuel prices is accommodated, and in the face of strong wage pressures that an upward spiral of wages and prices be prevented. "The ongoing electricity crisis threatens to stifle economic growth. Current electricity tariffs are too low to meet the cost of supplying electricity and to support investment in new generating capacity. However, improved services and greater efficiency by ZESCO, the state-owned electric utility, are also necessary to contain the cost of electricity. "The mission will continue its work in Washington, D.C., in close collaboration with the Zambian authorities, and anticipates returning to Lusaka as soon as possible after the presidential elections to finalize discussions on an economic program for 2009 that could be supported by the PRGF arrangement." The story of Manda Chisanga a Safari guide in South Luangwa National Park, whose so good at his job that hes won a prize after being named Top Travel Guide in a competition run by the English travel magazine, Wanderlust. The prize is £5000 to be spent on his local community, and Manda has chose to spend it on solar cookers, in order to prevent deforestation in his village. You are already enjoying Michael Sata and Hakainde Hichilema websites, now its time for the Rupiah Banda website. The best must surely come last, for it is by far the most visual of the three. I hope to dig up something there for some blog discussions! Parliament Online have now uploaded the heavily trailed Petroleum (Exploration and Production) Bill 2008. Like many bills before it the power appears to reside with the Mines Minister and the President (no "oil minister" just yet, though that must be inevitable once we have some real 'black gold' to play with). There's also the Petroleum Committee which appears to have no direct Parliamentary oversight. That said, the bill does allow for the establishment of the Petroleum Environmental Protection Fund; the National Petroleum Company, and; the Petroleum Trust Fund. Future legislation is expected on the exact nature of these provisions. Senior Chief Ishindi of Zambezi has backed MMD Presidential candidate Rupiah Banda,for the October 30 presidential polls. The Senior Chief said the people in his chiefdom have resolved to support Mr. Banda so that he can continue with the development programmes initiated by President Mwanawasa. The traditional leader said this when Mr. Banda called on him on Friday. Senior Chief Ishindi said Mr. Banda showed maturity and united the nation during the illness and death of President, Mwanawasa. Acting President, Rupiah Banda, commended the chief for his contribution to good governance. Mr Banda said chiefs have contributed alot to peace and security that the country has enjoyed over the years. 2008 launches the Zambian Diaspora’s collective dialogue with home. This years ‘Visioning’ theme explores our collective aspirations for Zambia. This initiative seeks to consolidate the Zambian diaspora's views on national development priorities as well as provide formal means to communicate and collaborate with government on these priorities. From the government's perspective this conference also acts as a scoping process necessary to inform on the next steps of the Project Diaspora Citizenry being coordinated by the Ministry of Finance and National Planning. It is expected that outputs from this e-conference will provide initial indications to Government, Zambia Development Agency, International Organization on Migration and other stakeholders on policy requisites for promoting the Diaspora’s involvement in development. If you are interested in taking part in any of the four thematic groups, grateful if you could forward email address to zambian.economist@gmail.com by 5th October. We have limited places available, so the usual first come first serve approach will apply. I think I am probably going to die any minute now. An inflamed, deceived mob of about 50 desperate men are crowding round the car, some trying to turn it over, others beating at it with large rocks, all yelling insults and curses. I am trying not to meet their eyes, but they are staring at me and my companions with rage and hatred such as I haven't seen in a human face before. Those companions, Barbara Jones and Richard van Ryneveld, are - like me - quite helpless in the back seats. If we get out, we will certainly be beaten to death. If we stay where we are, we will probably be beaten to death. Our two African companions have - crazily in our view - got out of the car to try to reason with the crowd. It is clear to us that you might as well preach non-violence to a tornado. At last, after what must have been about 40 seconds but that felt like half an hour, one of the pair saw sense, leapt back into the car and reversed wildly down the rocky, dusty path - leaving his friend behind. By the grace of God we did not slither into the ditch, roll over or burst a tyre. Through the dust we churned up as we fled, we could see our would-be killers running with appalling speed to catch up. There was just time to make a crazy two-point turn which allowed us to go forwards and so out-distance them. We had pretty much abandoned our other guide to whatever his fate might be (this was surprisingly easy to justify to myself at the time) when we saw that he had broken free and was running with Olympic swiftness, just ahead of pursuers half hidden by the dust. We flung open a rear door so he could scramble in and, engine grinding, we veered off, bouncing painfully over the ruts and rocks. We feared there would be another barricade to stop our escape, and it would all begin again. But there wasn't, and we eventually realised we had got away, even the man whose idiocy nearly got us killed. He told us it was us they wanted, not him, or he would never have escaped. We ought to be dead. We are not. It is an interesting feeling, not wholly unpleasant. We had been turned away by a fat, corrupt policeman who pretended our papers weren't in order, but who was really taking instructions from a dead-eyed, one-eared gangmaster who sat next to him. The diggers feared - and their evil, sinister bosses had worked hard on that fear - that if people like me publicised their filthy way of life, then the mine might be closed and the $3 a day might be taken away. It is my view - and not just because I was so nearly killed - that China's cynical new version of imperialism in Africa is a wicked enterprise. China offers both rulers and the ruled in Africa the simple, squalid advantages of shameless exploitation. For the governments, there are gargantuan loans, promises of new roads, railways, hospitals and schools - in return for giving Peking a free and tax-free run at Africa's rich resources of oil, minerals and metals. For the people, there are these wretched leavings, which, miserable as they are, must be better than the near-starvation they otherwise face. Persuasive academics advised me before I set off on this journey that China's scramble for Africa had much to be said for it. They pointed out China needs African markets for its goods, and has an interest in real economic advance in that broken continent. Why get so het up about African corruption anyway? Is it really so much worse than corruption in Russia or India? Is it really our business to try to act as missionaries of purity? Isn't what we call 'corruption' another name for what Africans view as looking after their families? And what about China herself? Despite the country's convulsive growth and new wealth, it still suffers gravely from poverty and backwardness, as I have seen for myself in its dingy sweatshops, the primitive electricity-free villages of Canton, the dark and squalid mining city of Datong and the cave-dwelling settlements that still rely on wells for their water. I find this argument quite appealing, in theory. Britain's own adventures in Africa were not specially benevolent, although many decent men did what they could to enforce fairness and justice amid the bigotry and exploitation. It is noticeable that in much former British territory we have left behind plenty of good things and habits that are absent in the lands once ruled by rival empires. Even so, with Zimbabwe, Nigeria and Uganda on our conscience, who are we to lecture others? I chose to look at China's intervention in two countries, Zambia and the 'Democratic Republic of the Congo', because they lie side by side; because one was once British and the other Belgian. Also, in Zambia's imperfect but functioning democracy, there is actual opposition to the Chinese presence, while in the despotic Congo, opposition to President Joseph Kabila is unwise, to put it mildly. Congo is barely a state at all, and still hosts plenty of fighting not all that far from here. Statues and images of Joseph's murdered father Laurent are everywhere in an obvious attempt to create a cult of personality on which stability may one day be based. Portraits of Joseph himself scowl from every wall. I have decided not to name most of the people who spoke to me, even though some of them gave me permission to do so, because I am not sure they know just how much of a risk they may be running by criticising the Chinese in Africa. I know from personal experience with Chinese authority that Peking regards anything short of deep respect as insulting, and it does not forget a slight. I also know that this over-sensitive vigilance is present in Africa. 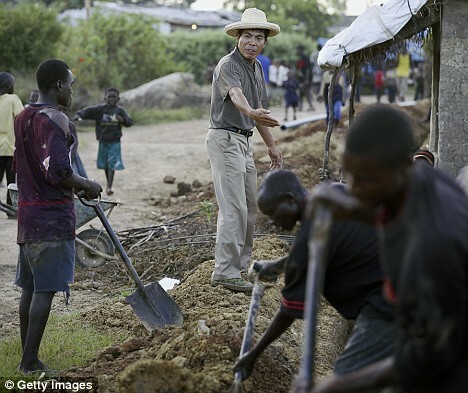 The Mail on Sunday team was reported to the authorities in Zambia's Copper Belt by Chinese managers who had seen us taking photographs of a graveyard at Chambishi where 54 victims of a disaster in a Chinese-run explosives factory are buried. Within an hour, local 'security' officials were buzzing round us trying to find out what we were up to. This is why I have some time for the Zambian opposition politician Michael Sata, known as 'King Cobra' because of his fearless combative nature (but also, say his opponents, because he is so slippery). Sata has challenged China's plans to invest in Zambia, and is publicly suspicious of them. At elections two years ago, the Chinese were widely believed to have privately threatened to pull out of the country if he won, and to have helped the government parties win. Peking regards Zambia as a great prize, alongside its other favoured nations of Sudan (oil), Angola (oil) and Congo (metals). It has cancelled Zambia's debts, eased Zambian exports to China, established a 'special economic zone' in the Copper Belt, offered to build a sports stadium, schools, a hospital and an anti-malaria centre as well as providing scholarships and dispatching experts to help with agriculture. Zambia-China trade is growing rapidly, mainly in the form of copper. All this has aroused the suspicions of Mr Sata, a populist politician famous for his blunt, combative manner and his harsh, biting attacks on opponents, and who was once a porter who swept the platforms at Victoria Station in London. Now the leader of the Patriotic Front, with a respectable chance of winning a presidential election set for the end of October, Sata says: 'The Chinese are not here as investors, they are here as invaders. This is true. 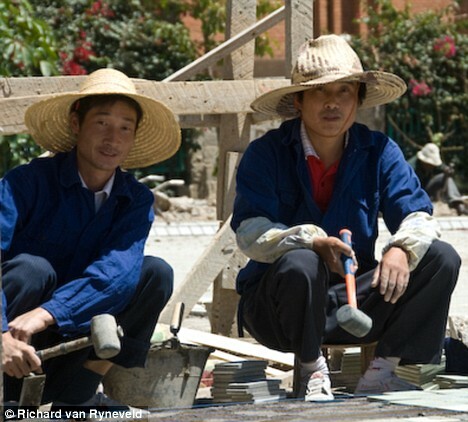 In Lusaka and in the Copper Belt, poor and lowly Chinese workers, in broad-brimmed straw hats from another era, are a common sight at mines and on building sites, as are better-dressed Chinese supervisors and technicians. 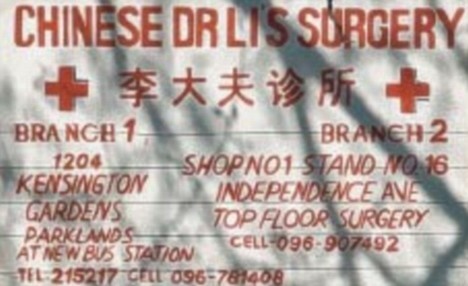 There are Chinese restaurants and Chinese clinics and Chinese housing compounds - and a growing number of Chinese flags flapping over factories and smelters. He meets me in the garden of his not specially grand house in the old-established and verdant Rhodes Park section of Lusaka. It is guarded by uniformed security men, its walls protected by barbed wire and broken glass. 'Wherever our Chinese "brothers" are they don't care about the local workers,' he complains, alleging that Chinese companies have lax safety procedures and treat their African workers like dirt. He also accuses Chinese overseers of frequently beating up Zambians. His claim is given force by a story in that morning's Lusaka newspapers about how a Zambian building worker in Ndola, in the Copper Belt, was allegedly beaten unconscious by four Chinese co-workers angry that he had gone to sleep on the job. I later checked this account with the victim's relatives in an Ndola shanty town and found it to be true. Recently, a government minister, Alice Simago, was shown weeping on TV after she saw at first hand the working conditions at a Chinese-owned coal mine in the Southern Province. When I contacted her, she declined to speak to me about this - possibly because criticism of the Chinese is not welcome among most of the Zambian elite. Sata warns against the enormous loans and offers of help with transport, schools and health care with which Peking now sweetens its attempts to buy up Africa's mineral reserves. 'China's deal with the Democratic Republic of the Congo is, in my opinion, corruption,' he says, comparing this with Western loans which require strong measures against corruption. Sata knows the Chinese are unpopular in his country. Zambians use a mocking word - 'choncholi' - to describe the way the Chinese speak. Zambian businessmen gossip about the way the Chinese live in separate compounds, where - they claim - dogs are kept for food. There are persistent rumours, which cropped up in almost every conversation I had in Zambia, that many of the imported Chinese workforce are convicted criminals whom China wants to offload in Africa. I was unable to confirm this but, given China's enormous gulag and the harshness of life for many migrant workers, it is certainly not impossible. Some Africa experts tend to portray Sata as a troublemaker. His detractors whisper that he is a mouthpiece for Taiwan, which used to be recognised by many African states but which faces almost total isolation thanks to Peking's new Africa policy. But his claims were confirmed by a senior worker in Chambishi, scene of the 2005 explosion. This man, whom I will call Thomas, is serious, experienced and responsible. His verdict on the Chinese is devastating. He recalls the aftermath of the blast, when he had the ghastly task of collecting together what remained of the men who died: 'Zambia, a country of 11million people, went into official mourning for this disaster. This sort of thing creates resentment. Earlier this year African workers at the new Chinese smelter at Chambishi rioted over low wages and what they thought were unsafe working conditions. He suspects Chinese arrogance and brutality towards Africans is not racial bigotry, but a fear of being seen to be weak. 'They are trying to prove they are not inferior to the West. They are trying too hard. Many in Africa also accuse the Chinese of unconcealed corruption. This is specially obvious in the 'Democratic Republic of the Congo', currently listed as the most corrupt nation on Earth. A North-American businessman who runs a copper smelting business in Katanga Province told me how his firm tried to obey safety laws. They are constantly targeted by official safety inspectors because they refuse to bribe them. Meanwhile, Chinese enterprises nearby get away with huge breaches of the law - because they paid bribes. Another businessman shrugged over the way he is forced to wait weeks to get his products out of the country, while the Chinese have no such problems. Unlike orderly Zambia, Congo is a place of chaos, obvious privation, tyranny dressed up as democracy for public-relations purposes, and fear. This is Katanga, the mineral-rich slice of land fought over furiously in the early Sixties in post-colonial Africa's first civil war. Brooding over its capital, Lubumbashi, is a 400ft black hill: the accumulated slag and waste of 80 years of copper mining and smelting. Now, thanks to a crazy rise in the price of copper and cobalt, the looming, sinister mound is being quarried - by Western business, by the Chinese and by bands of Congolese who grub and scramble around it searching for scraps of copper or traces of cobalt, smashing lumps of slag with great hammers as they hunt for any way of paying for that night's supper. As dusk falls and the shadows lengthen, the scene looks like the blasted land of Mordor in Tolkien's Lord Of The Rings: a pre-medieval prospect of hopeless, condemned toil in pits surrounded by stony desolation. Behind them tower the leaning ruins of colossal abandoned factories: monuments to the wars and chaos that have repeatedly passed this way. There is something strange and unsettling about industrial scenes in Africa, pithead winding gear and gaunt chimneys rising out of tawny grasslands dotted with anthills and banana palms. It looks as if someone has made a grave mistake. And there is a lesson for colonial pride and ambition in the streets of Lubumbashi - 80 years ago an orderly Art Deco city full of French influence and supervised by crisply starched gendarmes, now a genial but volatile chaos of scruffy, bribe-hunting traffic cops where it is not wise to venture out at night. The once-graceful Belgian buildings, gradually crumbling under thick layers of paint, long ago lost their original purpose. Outsiders come and go in Africa, some greedy, some idealistic, some halfway between. Time after time, they fail or are defeated, leaving behind scars, slag-heaps, ruins and graveyards, disillusion and disappointment. We have come a long way from Cecil Rhodes to Bob Geldof, but we still have not brought much happiness with us, and even Nelson Mandela's vaunted 'Rainbow Nation' in South Africa is careering rapidly towards banana republic status. Now a new great power, China, is scrambling for wealth, power and influence in this sad continent, without a single illusion or pretence. Perhaps, after two centuries of humbug, this method will work where all other interventions have failed. 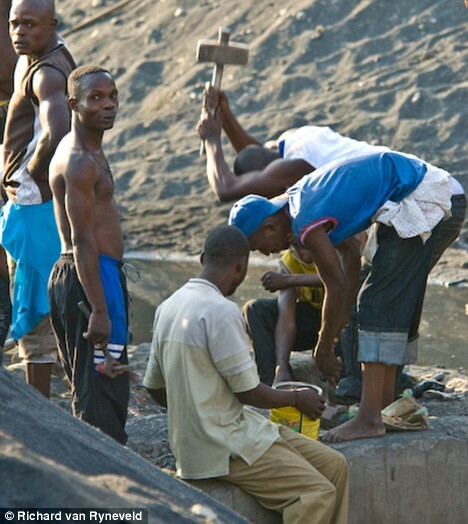 But after seeing the bitter, violent desperation unleashed in the mines of Likasi, I find it hard to believe any good will come of it. I reaffirm Government’s commitment to the Constitution making process as specified in the National Constitutional Conference Act. The work of the National Constitutional Conference will, therefore, continue to its logical conclusion. Human rights will remain critical in our efforts to consolidate good governance. Government will continue to uphold tenets of good governance and the rule of law and to enhance the freedoms and rights of citizens. As we carry the vision of our Late President, especially in regard to democracy, we should maintain that free expression of views is fundamental to good governance. Government will, therefore, continue to provide a conducive policy, legal and institutional framework for the development of a free media. Government will continue with the policy of liberalisation of the media industry for continued private sector participation. In this respect, the review of media laws will continue until we find an appropriate media legislation that will further promote freedom of expression. The Mwanawasa administration reintroduced National Development Planning which has refocused economic management. This has led to the tremendous economic progress that the country has made so far. Planning will, therefore, remain our economic management tool. Prudent fiscal and monetary policies have been pursued resulting in macro economic stability. Consequently, the economy has been registering annual growth rates averaging five percent (5%) and reaching six percent (6%) in the last two (2) years. Low inflation has also been recorded with single digit levels attained for the first time in 30 years in 2006. However, in the recent past, the country has witnessed an upward surge in inflation due to global factors. Government will remain committed to fighting inflation to single digit levels through continued prudent fiscal and monetary policies which have a positive impact on interest rates. The increase in export earnings and the debt relief has led to a substantial build up of our foreign currency reserves to US$1.4 billion currently. This position has also contributed to a stable exchange rate thereby enhancing business and economic planning. These hard earned economic strides have been appreciated in the international financial circles to the extent that Zambia is now poised to have a sovereign credit rating, for the first time ever. We are determined to continue with the implementation of prudent economic policies to score even more successes, particularly a rapid reduction in poverty among our people. • Financial Sector Development Plan. Agriculture remains one of the key priority sectors of the economy. We shall continue to implement the policies and programmes of our departed President Dr. Levy Patrick Mwanawasa. The ultimate goal is to ensure sustenance of household and national food security. In this regard, Government will continue to develop agricultural extension and research services in order to enhance productivity. Government will continue to maintain adequate strategic food reserves to ensure national food security. We will continue the fertilizer support programme. In view of the current sharp increase of fertilizer prices on the global market, the Government has provided a supplementary funding to the tune of K307 billion to the programme. This is in addition to this year’s budget allocation of K185 billion which will allow for an increase in the number of targeted small scale farmers from 125,000 to 200,000. The applicable subsidy has been increased to 75 percent from 60 percent. This measure is intended to cushion the impact of high fertilizer prices on targeted small scale farmers. With regard to irrigation development, Government will continue to promote irrigation programmes particularly among small scale farmers. In order to increase land for commercial agriculture, the Government will maintain the current programme of opening up new farm lands for both local and foreign investors. In this regard, appropriate infrastructure such as access roads, bridges, dams, electrification, storage facilities and communications will continue to be constructed. The mining sector remains the driver of our economy. Over the recent years, the sector has recorded significant growth in investment, production and export earnings. Some of the major investments in this sector are the Konkola Deep Mining Project, the Lumwana Copper Mining Project and Kansashi Mining Project in Solwezi, the Mulyashi Copper Project in Luanshya and the Munali Hills Nickel Project in Mazabuka. These positive developments in the sector are a result of the favourable mining policies espoused by the Mwanawasa administration. I want, in this regard, to assure both local and foreign investors that there will be no departure from the current policies and focus in the mining sector. I am pleased to inform the nation that the mining companies have equally reiterated commitment to continue their operations in this country. You will recall that our late President in 2005, instructed the Department of Geological Survey to investigate the possibility of occurrences of oil and gas in North Western Province. Following the preliminary positive results from samples obtained, the Government has demarcated the area into exploration blocks for detailed exploration once the appropriate legislation which is currently before Parliament is established. Government will continue to investigate the possibility of occurrences of oil and gas in other parts of the country. I take this opportunity to note that fuel prices in Zambia are higher than the regional average. I also take cognisance of the fact that the international oil prices have started coming down. Evidently, there is a case for re-examination of fuel prices in Zambia. In this regard, I direct the Ministers of Finance and National Planning and Energy and Water Development to sit together and examine the matter with a view to reduce the price of fuel. The Energy sector plays a pivotal role in the socio-economic development of our country. Despite this recognition, the country in recent years has experienced disruptions in the form of power outages and petroleum shortages that have had negative impact on the overall performance of the economy. In order to address these constraints, in the electricity sub-sector, Government in the short term is undertaking a rehabilitation and up-rating programme at Kafue Gorge and Kariba North Bank Power Stations. The rehabilitation and up-rating programme at Kafue Gorge Power Station is expected to be completed this year while the works at Kariba North Bank Power Station are expected to be completed in March, 2009. This will result into increased power generation and the reduction of power deficit. In the medium and long term, new power stations will be built in order to cater for increased demand for electricity in our growing economy. These include; Kafue Gorge Lower, Kariba North Bank Extension, Kalungwishi, Kabompo and Itezhi thezi Hydropower projects. Cost reflective tariffs in the medium term will be required to support the development of these projects. In an effort to promote alternative sources of energy, Government will encourage the production and utilisation of bio-fuels and solar energy. The private sector remains the engine of economic growth. The implementation of the private sector development reform programme which was launched in 2004 will continue to be a platform for faster and sustained private sector led growth. Government is reviewing the Zambia Development Agency Act No. 11 of 2006 to ensure that it meets the various needs of the private sector. Further, the Government is reviewing the competition and fair trading act to take on board the broad interests of investors and consumers. Our late President wanted to see the majority of Zambians participate in the economy. In this regard, he initiated the establishment of the citizens Economic Empowerment Commission which has since began to operate and is administering the empowerment fund. Another important initiative is the establishment of the multi facility economic zones in Chambishi and Lusaka. Government has since passed an appropriate Statutory Instrument regulating these economic zones. The Chambishi Economic Zone whose development has commenced will attract investment worth US$900 million and will create more than 6,000 jobs. The master plan for the Lusaka South Multi Facility Economic Zone is being developed and infrastructure development will start in 2009. The Government remains committed to these important development programmes. Zambia is an active member of regional integration. Recently, the SADC Free Trade Area was launched. This allows regional market access for Zambian products. Government, therefore, remains committed to programmes that foster regional trade and integration. Our commitment to COMESA is equally steadfast. Tourism is among the four economic sectors targeted by government as priorities in our country’s development. In the fifth national development plan and vision 2030, the objective is to make Zambia a major tourism destination of choice with unique features which should contribute to sustainable economic growth and poverty reduction by 2030. The policy to use tourism as a tool for income generation, poverty reduction, job creation and small business development, will continue to be pursued. Development of projects initiated by our late president will continue. These include the development of greater Livingstone through infrastructure improvement and the construction of Mukuni Park. Other projects to be developed include the northern circuit which includes Kasaba Bay and Samfya white sands. In Lusaka the south east park is to be developed while the Kafue national park is due for a face lift. These developments will continue to be pursued using both public and private investments to make Zambia a unique tourist destination. Government is committed to improving public service delivery. It is for this reason that Government embarked on the Public Service Reform Programme comprising three pillars of public expenditure management and financial accountability, public service management and decentralisation. Some of the achievements of these reforms include the development of the public service code of ethics and service charters that guide public service workers in the delivery of service. Implementation of these reforms will continue together with the strengthening of the institutions that provide oversight in enhancing transparency and accountability in the use of public resources. South Africa's government is apparently contemplating the creation of a state-owned mining company. Among the suggestions includes following the Botswana and Namibia model of joint ventures with De Beers to mine diamonds. Readers will be aware that Zambia has fully privatised its mines, with government role restricted via ZCCM IH, which has not exactly been a success as seen by the current mutterings. I have previously argued that there's no reason a priori why the Botswana model cannot be implemented in Zambia for new mines. The key is to be clear on the policy goals, and what it impact it may have private sector investment. But it certainly needs to be discussed and debated, during election time! As Chinese - Angola trade relations deepen, so has the need to travel between the two countries. Media reports yesterday that Sino Hydro of China will spend $400 million to expand the Kariba North Bank power station. The power station urrently generates around 600 megawatts of electric power, the plan is to expand that to 900 megawatts or more. 85% of the money will be funded by Exim Bank China, with ZESCO chipping 15%. "..I would like to state very clearly here, that ACC does not support Mr Lewanika’s or any other commissioner’s involvement in active politics in that manner nor in the way he has shown preference for the one candidate he has supported. The position of the commission is that ACC commissioners and staff should not be involved in active politics as that creates a conflict of interest that undermines our role of fighting corruption without fear or favour...."
There have been some significant developments down in Zambia in the wake of Minesite’s earlier story that the Zambian government might be prepared to reconsider the new levels of mining tax that it’s imposing, if the government’s own 87 per cent owned Zambian Consolidated Copper Mines (ZCCM) started to receive meaningful dividends from its Copperbelt joint ventures. A particular emphasis was laid on the Kansanshi project. We now understand that First Quantum, the Canadian miner which operates Kansanshi, has entered into discussions with ZCCM about the payment of dividends from ZCCM’s accumulated but undistributed share of Kansanshi’s profits. These, after taking account of ZCCM’s share of Kansanshi development and capital spending, are believed to be well north of US$100 million and rising fast. The problem that has arisen for ZCCM is that when the Zambian copper industry was restructured in the early part of the decade, the joint venture agreements between the new foreign operators, ZCCM, and the government did not address the payment of dividends to the minority shareholder, ZCCM. Some operations, such as Mopani and Konkola, have occasionally paid dividends, but as the copper price has stayed high the profits flowing to the foreign operators have risen sharply, far outpacing any dividends flowing to ZCCM. In November of last year ZCCM’s then chief executive, Joseph Chikolwa, addressing a conference in London, revealed that he believed that ZCCM’s net asset value was around US$1 billion or US$11 per share. This figure derives from a valuation done for the company by, we believe, Rothschild. ZCCM is mainly traded in Paris where it is priced in Euros. The US$11 figure was then equivalent to around €8.00 per share (the current price is around Euros €2.50; in October 2007 the share price reached Euros €6.40). Those who know both ZCCM and First Quantum generally consider that Kansanshi is the most valuable and profitable of the current Copperbelt mines. However, in the last week or so, an intriguing transaction has been proposed in India concerning Vedanta’s Konkola copper operation. The Anglo-Indian group now owns a 79 per cent stake in Konkola following the controversial acquisition of ZCI’s 28.4 per cent holding. Following the recently announced re-structuring of the Vedanta group, Sterlite Industries India (SII), 60 per cent owned by Vedanta, is to acquire Vedanta’s 79 per cent stake in Konkola, in exchange for 364 million Sterlite shares. Currently Sterlite shares trade in Bombay at Rs505 (US$11.20), but as part of the Vedanta restructuring SII is getting rid of its stake in Madras Aluminium (MALCO) so, with the issue of new shares to Vedanta as well, SII’s residual value will have to be adjusted. The Indian broking firm, Emkay Shares, has calculated a residual per share value for SII, once all the restructuring has been completed, of Rs355. MacQuarie suggests a slightly lower figure. This translates into a value for the Konkola asset of Rs355 times 364 million new SII shares, or Rs129 billion. Since that value is for 79 per cent of Konkola, it follows that if a similar value is attributed to ZCCM’s residual 21 per cent stake, the residual stake would be worth Rs34 billion, or €530 million, or €5.88 per ZCCM share. It’s worth pointing out in passing how these figures compare with Vedanta’s US$213 million take-out price for ZCI’s 28.4 per cent stake in Konkola. In today’s circumstances ZCI’s holding would have been worth around US$990 million! It’s little wonder that ZCI fought so long and hard, if unsuccessfully, to get its’ stake valued on a current market basis, rather than on the 2003 copper price basis that was used. Getting back to ZCCM, if it was interested in selling its Konkola stake the price would have to reflect current copper prices, as SII stake clearly does. But of course Konkola is not considered the jewel in ZCCM’s crown. That honour undoubtedly falls to Kansanshi. Last quarter ZCCM’s share of Kansanshi’s after tax profits was US$31million, or US$124 million annualised. If one applies the earnings multiple which operator and majority Kansanshi shareholder, First Quantum, currently sells on in the Canadian market - around five times - then ZCCM’s Kansanshi stake is worth US$620m, or €440 million, or €4.90 per share. So we already have ZCCM, using reasonable market assessed values, with a net asset value of €10.78, against a current share price on the Paris Marche Libre of €2.50, and we have not yet ascribed a value to ZCCM’s holdings in Konkola North, Mufulira/Nkana or any of the other Copperbelt interests, such as Chambishi, Chibuluma and Luanshya, not mention its stakes in Ndola Lime, Maamba Collieries, Copperbelt Energy, Equinox Minerals and Albidon. So what is ZCCM itself up to in order to try and encourage a higher market value for its shares, and what problems does it face in achieving this? The first thing to say is that ZCCM’s management was only vaguely aware that its shares traded in Paris and did not have up-to-date information on price movements there. This is because the Government has 87 per cent of the company and private shareholders are largely unknown as their holdings are mainly in nominee names. ZCCM shares are also listed in London and ZCCM pays fees to Cazenove to maintain that listing, but don’t hold your breath whilst the switchboard locates the responsible Caz executive! ZCCM is considering what to do about its London listing and whether its Paris trading facility can be expanded, but since it has not filed accounts for 2006, 2007 or 2008 (year to June)it may have difficulty in achieving anything in the near future. nonetheless, be reasonable to expect daily volume to rise from a few thousand shares at best via the present calling-over facility, to around 50,000, which would be equivalent to around 100 per cent turnover of the minority stake annually. Another issue that remains unresolved is the level of ZCCM’s debt, which stands at around US$500 million. 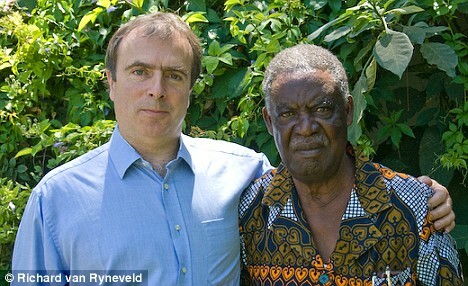 This all relates to its past role as the operator and owner of Zambia’s copper mines. Whilst this figure appears on the face of it to be an enormous burden to ZCCM in its present reduced circumstances, it needs to be borne in mind that the debt is almost entirely attributable to the Zambian government, and it carries neither repayment date nor interest rate. There are some at ZCCM who believe that since the Zambian government has had most of its foreign debt forgiven by the international community, the Government in turn should cancel ZCCM’s debt. This the government refuses to do, but it has intimated to the company that it would consider converting the debt into preferred capital, which would carry a right to convert into new ZCCM equity. Some of this new equity could then be sold to local and foreign investors to raise cash for the government. ZCCM’s proposals on this have been with the government for over a year now and an early resolution of the issue seems unlikely! The company has been talking to a group of French investors, the first time it has ever acknowledged the existence of its 13 per cent largely private investor minority. Whilst these discussions have been wide ranging they have laid particular emphasis on matters of investor relations and communications, where ZCCM is very weak. The company has engaged a South African IR firm to do an audit of ZCCM’s current IR practices, such as they are, and make recommendations. This is not the first time that an IR audit has been performed and it is unlikely that the South Africans will come up with anything that is not pretty clear already to the French ginger group. Whilst is also pretty clear is that ZCCM is being right royally shafted by its foreign partners on the issue of dividends from the Copperbelt mines, the company unfortunately lacks aggressive and motivated management, which doesn’t help. For many years now its staff have acted as administrators dealing with issues, such as pensions, relating to its historic position as operator of the Copperbelt mines. ZCCM is anxious to develop its role as an investment holding company and to manage its current assets. Therefore the imperative now is for ZCCM to strengthen its management in order to fulfil these ambitions. At the same time the Zambian government is prone to drag its feet and has recently said that it has no intention of selling a share of its 87 per cent holding, even though locals have suggested that this would reinvigorate its practically dormant local quote on the Lusaka Stock Exchange. This refusal, which goes against previous government policy to realise value from the ZCCM stake at the right time, also creates problems with regard to the debt issue and the proposed preferred share swap and subsequent sale. There is clearly considerable and uncaptured value in ZCCM, but the company lacks good investment banking advice, if that’s not an oxymoron in today’s world! Publishing the 2006 and 2007 accounts is a minimum requirement for starting the revival process; a regular flow of dividends in respect of ZCCM’s minority Copperbelt holdings and action on the debt issue would also materially help. At the moment ZCCM gives the lie to those who believe that the time has come to make ‘shedloads’ of money investing in African companies. The CSO September Press Release can be found here. Inflation was recorded at 14.2 percent as at September 2008. This rate is 1.0 percentage point higher than the August rate of 13.2 percent. Compared with the same period last year, the annual rate of inflation increased by 4.9 percentage points, from 9.3 percent in September 2007 to 14.2 percent in September 2008. The September 2008 inflation rate of 14.2 percent means that prices as measured by the all items Consumer Price Index (CPI) increased by an average of 14.2 percent between September 2007 and September 2008. The increase of 1.0 percentage point in the annual inflation rate from 13.2 percent in August 2008 to 14.2 percent in September 2008 was due to the increase in the cost of transport (fuel, air fares, and new motor vehicles), rent and household energy, furniture and household goods. Of the total 14.2 percent annual inflation in September 2008, food products accounted for 7.8 percentage points while non-food products in the Consumer Price Index (CPI) accounted for a total of 6.4 percentage points. The annual food inflation rate was recorded at 16.2 percent in September 2008, down from 16.3 percent in August 2008. Contributing most to food inflation were increases in the cost of maize meal, maize grain, other cereals and cereal products, kapenta, and processed food products. Partially offsetting these increases were declines in the cost of fresh vegetables, meat, sugar and dried beans. The annual non-food inflation rate was recorded at 12.4 percent in September 2008, down from 10.4 percent in August 2008. Regarding disaggregated groups, the annual inflation rates increased for rent and household energy, transport and communication, recreation and education, and declined for clothing and footwear, furniture and household goods, medical care, goods and services. A comparison of retail prices between August 2008 and September 2008, shows that the national average price of a 25 kg bag of roller meal increased by 5.8 percent, from K38,370 to K40,577. The national average price of a 20 litre tin of maize grain increased by 6.2 percent, from K18,565 to K19,719. The national average price of 1kg of dried kapenta (Siavonga) rose by 3.9 percent, while the national average price of 1kg of tomatoes declined by 8.4 percent. The government has reduced the petrol and diesel pump prices in an effort to move Zambia from being the most expensive country in Africa to somewhere more modest. Apparently "the reduction was necessitated by the reduction in international prices of crude oil and further reduction of excise duty by the Government". The duty on petrol is now at 36 per cent from 60 per cent before June this year, diesel tax is now at seven per cent from 30 per cent while kerosene is now excise duty-free from 15 per cent. Unfortunately, but perhaps unsurprising, the prices of heavy fuel and jet products remain the same as those would be determined by suppliers at costs negotiated with the industry. I say unsurprisingly because it is quite obvious this a fuel policy designed to woo voters. But what Zambia really needs is a transport policy, of which fuel policy would simply be a subset to delivering some of those goals, depending on the realignment of incentives within the transport framework. The other thing that worries me about the latest move is that its unclear what impact all of this is going to have on goverment short to medium term fiscal position. This is yet another unplanned "expenditure" outside Budget 2008. How this going to be funded on top of election excesses? These are questions of course that no politician in their right mind will ask, not when populism is what gets you votes! "....Now, which achievements can one credit to Mwanawasa’ first term? HIPC? Who enjoyed its fruits? Not the poor, the workers, the youth…and certainly not the education and health! Were there more jobs, better conditions of service, better salaries or better perspectives for our children? On the contrary, what about the redundancies, the losses of jobs, the total absence of chances for the youth, which translates into more prostitution and AIDS and consequently in greater misery for everyone?" Zambia’s Health Care system is pathetic. There are so many charges that the government asks from sick people when the same government is heavily taxing citizens all the time. All Zambians pay tax on almost every thing they purchase- Value Added Tax (VAT) and Pay-As-You Earn (PAYE). Fuel levy and duty costs are even causing the pump prices of fuels to be out of this world. Government never gets tired of collecting money from its citizens who they are failing to take care of when they fall ill. This government is heavily taxing everyone including the sick and the dead. One patient suffering from kidney failure is now required to go on the dialysis machine three times a week to get his system cleaned, and University Teaching Hospital is asking for K400,000 per day, thereby asking him to pay K1,200,000 every week. In a month he is asked pay K4,000,000. This makes health care unaffordable to the majority citizens.who they are failing to take care of when they fall ill. This government is heavily taxing everyone including the sick and the dead. better pay, housing, training, retraining and other conditions of service for doctors, nurses, medical assistants and other health workers. Noble goals indeed. Unfortunately it is the perial twin problems all over again - lack of coherent vision and little detail on how these goals can be achieved. Its unclear to me whether UPND sees a government controlled health care delivering health for all or a private health care subsidised heavily government. Notice that there's no mention of the private sector as agents of change, so one assumes that the UPND model is government delivering everything. The only problem is that government has no money. Where will the money to fund the noble goals going to come from? The UPND policies appear so dissapointing, that I have decided to discontinue this column on their policies. Yet another sign that the Government's will on the mining legislation has been broken. First Quantum Minerals has announced that it expects Zambia will agree to a compromise on the new mining tax regime in coming months, presumably betting on the MMD remaining in power or may be they are hoping for a PF government? The Patriotic Front has not publicly reversed its opposition to the new regime. If anything their latest statement of intent is even more cautious about higher taxes. At the moment UPND is the only party that appears to support higher mining taxes. Speaking when Mr Banda called at his palace yesterday, the Chief, through a representative, said Bisa speaking people were behind him all the way and assured him of their unflinching support. The chief said he was happy that Mr Banda found time to visit the area. He praised the Government for providing traditional leaders with car loans which eased their transport blues and for reintroducing the House of Chiefs. He said the people of the area were particularly impressed in the quick manner the Government responded to appeals for extention of the maternity wing at the local rural health centre and calls for provision of more teachers at Kopa New Basic School. Despite the laws of Zambia forbidding chiefs to be partisan, we continue to see significant courting of chiefs by all Presidential candidates. This column will keep track of what the chiefs are up to - its critical background for our on-going series on traditional leadership and development. Not sure how that works, it strikes that the rich always want more money. Unless of course what he means is that Zambia is so poor, that any rich person elected as President will not find it profitable to steal! umm....anyway, what I would advocate though it an increase in the fee people pay to stand as Presidential candidates (in the absence of strong electoral reform). That would certainly make sure candidates where sure it was value for money to go solo. Though I do worry that high fees could make for very bad losers. Some reports in the State Media that Paramount Chief Chitimukula is backing Rupiah Banda, and apparently is asking all bembas to follow suit (is that really all bembas or just people under his direct control ?). The actual text is less equivocal, and seems to simply say that Chitimukulu supports the government as now being led by RB. Make of that how you will.